You know it, your parents know it, your grandparents even know it, it’s the Mossy Nissan jingle! Want to be San Diego’s next singing sensation? THE VOICE OF MOSSY NISSAN is your chance to Sing the jingle and WIN! NOTE: Your social media profiles MUST be set to “Public” instead of private to enter. Each month our elite panel of music judges will choose 1 finalist to move on and compete for the grand prize on December 2018. PRIZE: Each monthly finalist will win $500. Our judges will also be choosing one wildcard winner at the end of November to be in the Finale with the other finalists! The 4 finalists’ entries will be posted on Mossy Nissan’s Facebook & Instagram accounts where the public will vote for the grand prize winner. The winner will be determined by the social post with the most cumulative points. Mossy Nissan will donate $2,000 to charity or organization of the winner’s choice. Winner’s voice will be featured in a Mossy Nissan commercial for one month. 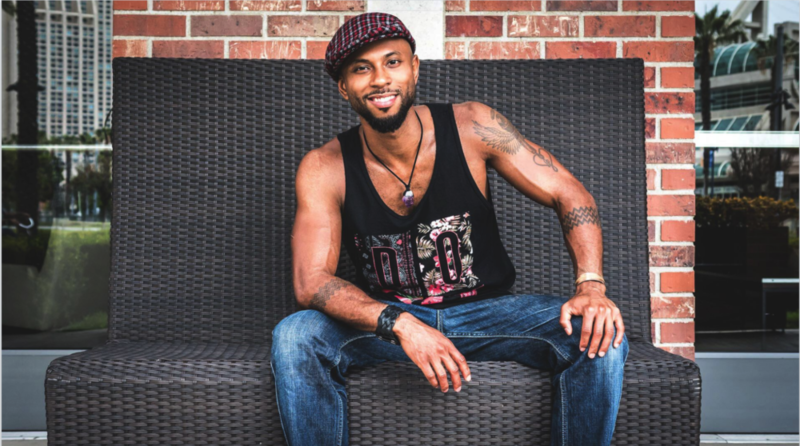 Kiyoshi is a purpose driven wordsman whose fusion of upbeat hip-hop and soulful sounds sends lightning bolts of conscious energy and thought into audiences around the provoke the world to listen and feel what is true. Kiyoshi’s authentic sound blended with a highly interactive stage performance gets the crowd moving like no other. 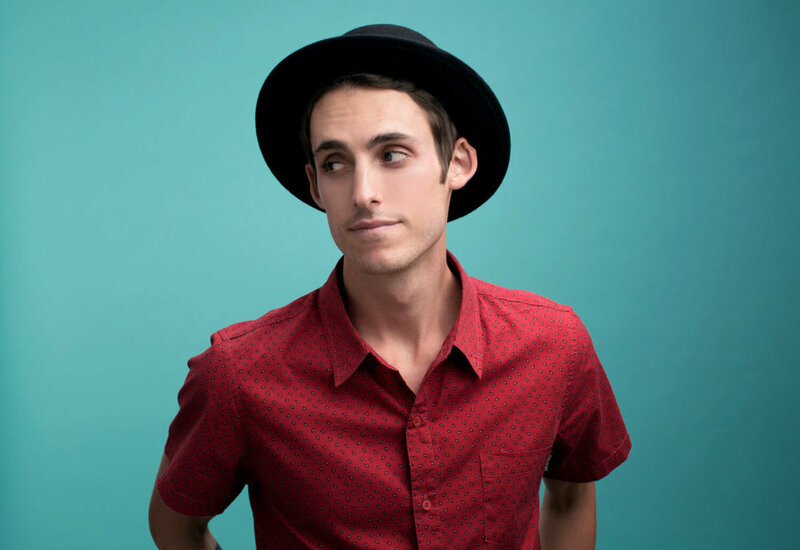 Tolan Shaw is an award-winning artist who has risen in the Southern California music scene as a pop/soul singer-songwriter who will stop at nothing to build a career with his original music. Both a solo acoustic troubadour and the frontman of his own band, Shaw’s music is catchy and soulful, bluesy and melodic, poppy and sincere. It is also highly inspired by his yearn to travel and to learn about the world and its people. In the last year, Shaw won "Best Singer-Songwriter" at the 2017 San Diego Music Awards, became a Taylor Guitars official artist, wrote music with notable hit writers, and took a 4 month journey to Southeast Asia (endorsed by Taylor and GoPro) to write music and create a travel-music video series called “Wandersong.” Having shared the stage with international acts such as Gavin Degraw, Nate Ruess, and Switchfoot, toured nationally and internationally, and achieved success placing and licensing songs with various TV networks and music libraries, Shaw is well positioned to become a career artist and a songwriter. The public will vote on the 4 finalists to determine the Grand Prize Winner. Mossy Nissan will commence the voting by posting the official voting post on their Facebook & Instagram accounts on Friday, December 14, 2018 at 2:00 PM PST. The public will vote on these posts by liking, commenting and sharing (sharing only applies to Facebook). Only these posts will count for voting. Votes will only be valid during the voting period: December 14, 2018 2:00 PM PST until December 16, 2018 11:59 PM PST. Only votes from valid accounts will be counted (no fake, duplicate accounts or bots allowed). Entrants must enter the contest in the previously mentioned manners by 11:59 PM PST on September 30, 2018, October 31, 2018 or November 30, 2018 to be eligible. The odds of winning depend on the number of cumulative points received from each entry’s posts on Mossy Nissan’s social media platforms. Points will be counted based on the previously mentioned breakdown. All decisions made by Mossy Nissan are final. On December 18, 2018 the Grand Prize winner will be announced and notified during the Grand Finale Event at Mossy Nissan Chula Vista. Entrants must be legal residents of the state of California and 18 years or older. Employees of Mossy Nissan and affiliates of its advertising and promotional agencies and their immediate families and any persons with whom they reside are not eligible. The public will vote on the 4 finalists to determine the Grand Prize Winner. Mossy Nissan will commence the voting by posting the official voting post on their Facebook & Instagram accounts on Friday, December 14, 2018 at 2:00 PM PST. The public will vote on these posts by liking, commenting & sharing (sharing only applies to Facebook). Only these posts will count for voting. Votes will only be valid during the voting period: December 14, 2018 2:00 PM PST until December 16, 2018 11:59 PM PST. Only votes from valid accounts will be counted (no fake, duplicate accounts or bots allowed). Entrants must enter the contest in the previously mentioned manners by 11:59 PM PST on September 30, 2018, October 31, 2018 or November 30, 2018 to be eligible. The odds of winning depend on the number of cumulative points received from each entry's posts on Mossy Nissan's social media platforms. Points will be counted based on the previously mentioned breakdown. All decisions made by Mossy Nissan are final. On December 18, 2018 the Grand Prize winner will be announced and notified during the Grand Finale Event at Mossy Nissan Chula Vista. Entrants must be legal residents of the state of California and 18 years or older. Employees of Mossy Nissan and affiliates of its advertising and promotional agencies and their immediate families and any persons with whom they reside are not eligible. All entries via social media networks are subject to Mossy Nissan’s social media policy. Any social media entry found to not comply with the policy would be disqualified and removed from all social networks immediately. By entering the contest and accepting the prize, the winner (a) releases Mossy Nissan from all liability with respect to this contest, including entry and participation and use of the prize awarded herein, and (b) except where legally prohibited, consents to the use of his/her name, entrant video, audio track, photo and likeness in print, broadcast, internet, social media and other media for advertising, promotional and/or marketing purposes without additional compensation. Mossy Nissan reserves the right to cancel, terminate, modify or suspend this promotion. This contest is void where prohibited or restricted by law and is subject to all applicable federal, state and local laws. This promotion is in no way endorsed, administered, sponsored by or associated with Facebook, Instagram or Twitter. By participating in this promotion you agree to release Facebook, Instagram and Twitter of any responsibility or liability for any damages or losses of any kind, including direct, indirect, incidental or consequential or punitive damages arising out of or relating to the delivery, use or performance of the prize(s) or products and services purchased with the prize(s), including any warranty of merchantability or fitness for a particular purpose. Participants are providing information to Mossy Nissan and not to Facebook, Instagram or Twitter. For a copy of the Official Rules, print this page.